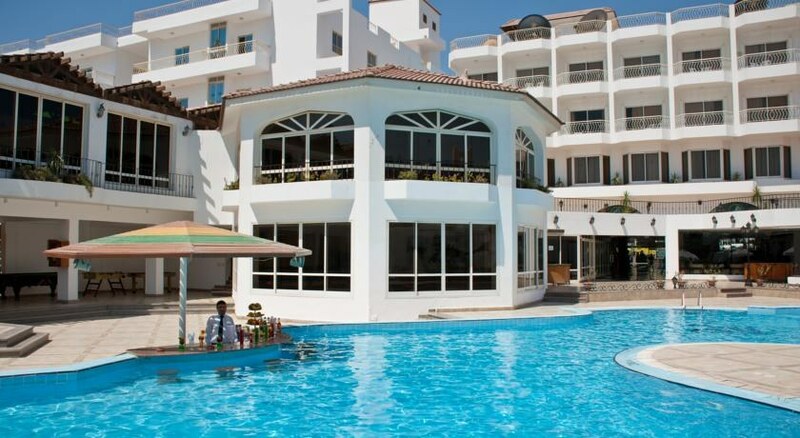 This excellent and reasonably priced hotel comprises a total of 190 rooms is perfectly suited to visitors who are looking for fun and sun, and will enjoy the local nightlife. As soon as guests step into this hotel they will know they are in a beach resort. The lobby leads to an extremely inviting swimming area for children, as well as a Jacuzzi, which helps guests to get the most fun and relaxation possible out of their holiday. From here guests have direct access to the gardens, through which they can go for a relaxing walk, or head straight for the hotel's private beach and beach bar. 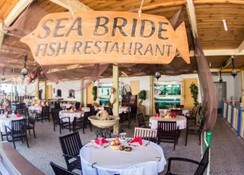 Among the facilities available at the hotel are a reception area, a hairdresser, bars, a cafï¿½ an ï¿½ la carte restaurant and a safe (available at reception for a small fee). Guests also have free access to the disco in the hotel basement. It’s our pleasure to announce that we will start to operate a brand new Aqua Park (2 New swimming pools) for Adults and for Kids as of first of June 2018. Minamark Resort have some construction works (new AquaPark) until 1. 06.2018. 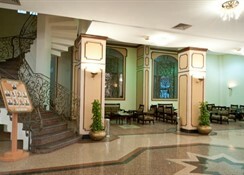 The area is separate from the hotel facilities and covered with wooden partitions. Was a great holiday but could of been more English food .